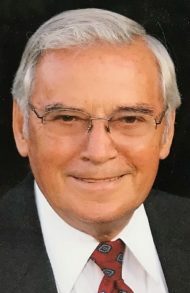 Norman W. Weaver, 91, of Lititz, passed away, Sunday, February 3, 2019 surrounded by his loving family. He was born in Lancaster, PA to the late Phares M. and Ella W. Weaver. He was the loving husband to Violetta (Stauffer) Weaver for over 69 years. Funeral Services will be held at Crossroads Community Fellowship, 1060 E. Newport Road, Lititz, PA 17543 on Sunday, February 10, 2019 at 3:00PM. A viewing will be held from 1-3PM. Interment will follow at Hess Mennonite Cemetery. Galen and Bobbi, our thoughts and prayers are with you. So sorry for the loss of your loved one. Lon and I are very sorry for your loss. Our thoughts and prayers are with you. May the wonderful memories of your dad’s love be with you & comfort you at this time. We both laid to rest both of our parents . There is a love that will live forever ..And there are memories that will shine through the sorrow . You have our deepest sympathy . This is a great picture of Norman. Anyway, thank-you for bringing Norman and Violetta to UZ. I enjoyed getting to know both of them. Don’t worry we will take care of Violetta and keep her company.